In Africa, older adults aged 50 and older are still sexually active and play a critical role as caregivers, yet little is known about their attitudes towards HIV and awareness of services. In this study, surveys were conducted in nine African sites. A multilevel model was fitted to evaluate the relationship between age and outcome variables. The study reveals that people aged 50 years and older have lower levels of HIV-related knowledge and awareness than those aged 25–49. 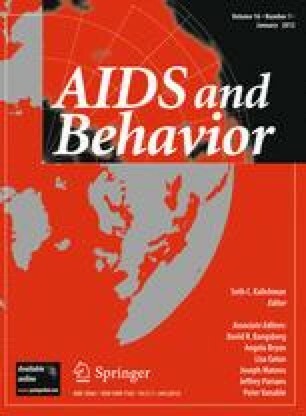 Older adults were less likely to have been tested for HIV and women aged 50 and older showed particularly low levels of awareness. The authors would like to thank Alex Radunsky, Maria Muniz and Cheryl Palm of the Earth Institute for their assistance with data preparation and support. Funding for the Millennium Villages was provided by the Lenfest, Blaustein, Sara McCune, Stephen Lewis/MACAID, and Yara Foundations and the Government of Japan through the United Nations Development Programme’s Human Security Trust Fund. Measure DHS. Demographic and health surveys [Internet]. Calverton: ICF Macro; 2010. http://www.measuredhs.com/pubs/browse_region.cfm. Accessed 6 Oct 2010.